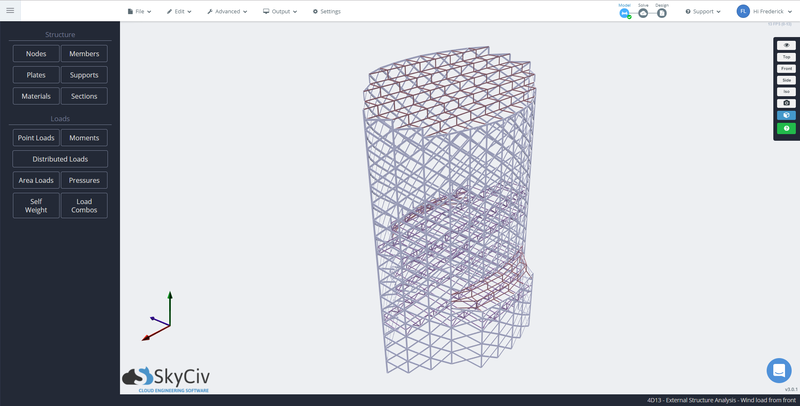 Perhaps as a demonstration to show off SkyCiv’s Structural 3D capabilities, today’s featured project is a very eye-appealing complex steel structure. 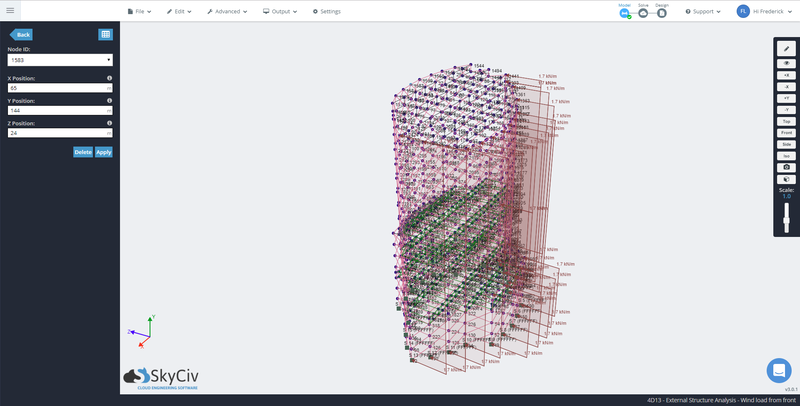 The structure consists of a whopping 920 nodes and 1560 members, perhaps one of the most if not the most complex structure made yet in Structural 3D. Although, Structural 3D can only animate deflection of a model with a maximum number of 100 members, the deflection results can still be rendered in the model, albeit statically. 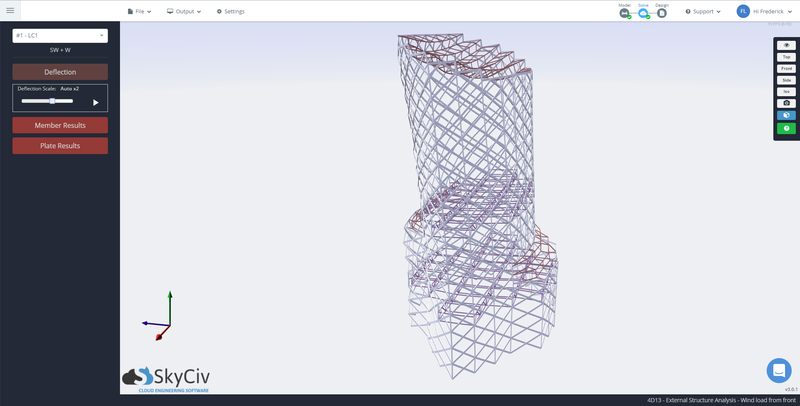 Although viewing a rendered model with the results may take a while to load, the model is surprisingly smooth when viewing. All things considered, the performance is impressive, especially for a structural software that runs only in the cloud. 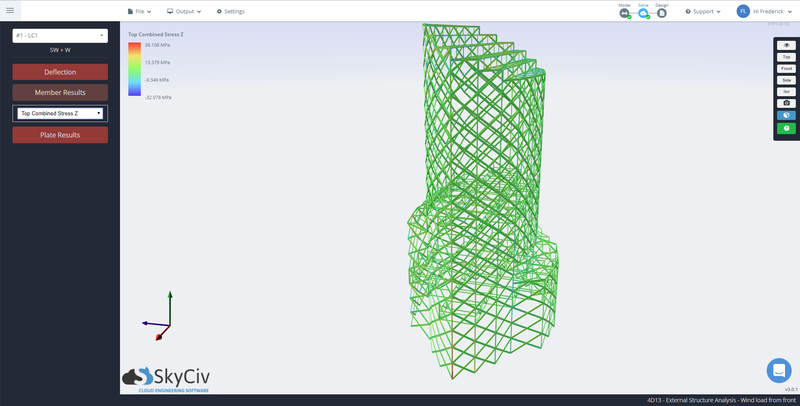 And as time moves on, the performance of Structural 3D will continue to improve.